A new state tax on nonprofits that provide transportation, parking, and on-site gym benefits to their employees. An under-the-radar provision in the federal "Tax Cuts and Jobs Act" that was passed and signed into law last December imposes a new tax on nonprofits that provide these fringe benefits to their employees. This new federal tax applies to parking, transportation, and on-site gym benefits provided beginning on January 1, 2018. By conforming to this new federal law, the proposed state tax legislation would require nonprofits that offer these fringe benefits to include them as unrelated business income on their state taxes and pay 3% corporate income tax to the state (in addition to a 21% tax they will need to pay to the federal government). 2. Small changes to exemptions from the sales tax on admission fees to entertainment and live events. The proposal would expressly exempt charges for certain participatory activities - such as zip-lining, skating, skiing, rock climbing, and riding on boats, trains, horses, or chairlifts - from sales tax. However, the current version of the bill does not expressly exempt nonprofits from collecting and remitting sales tax on admission fees for fundraising events. 3. No new state tax incentives for charitable giving. The tax changes in the "Tax Cuts and Jobs Act" are expected to reduce charitable giving by between 4% and 6.5% per year. To offset this expected reduction in donations to nonprofits, Congress and some other state legislatures have considered establishing a universal, non-itemizer deduction for charitable contributions. 4. No substantive changes to nonprofit tax exemption. While the draft bill would make a technical change to the way nonprofit charter schools file for property tax exemption, it (thankfully!) does not include proposals for new taxes on nonprofits. The Centers for Medicare & Medicaid Services has provided questions and answers related to the new Long Term Care Survey Process. The surveyors will be making observations as they are completing their initial resident sample interviews. CMS has provided a response and clarification to this issue in a Q&A document. The U.S. Supreme Court recently issued a ruling that found that exemptions from the overtime requirements under the Fair Labor Standards Act (FLSA) should be interpreted "fairly" rather than "narrowly." While the case involved a car dealership, the court's ruling applies to all employers, meaning that nonprofits may have greater leeway in classifying their employees as executive, professional, or administrative workers who are exempt from FLSA's requirement of providing overtime pay. Generally, FLSA requires employers to pay workers one-and-one-half times their usual rate of pay when they work more than 40 hours in a week. Employees are exempt from this requirement if they: (1) are paid on a salary basis; (2) are paid at least $455 per week ($23,660 per year); and (3) meet the duties test as an executive, administrative, or professional employee. The Supreme Court's latest ruling means that it will be easier for nonprofits to make the case that their employees meet one of these duties tests. A proposal (H.R. 5443) to require tax-exempt organizations to file Form 990 electronically and to make information from 990s more easily available to the public. The legislation includes a two-year hardship delay for smaller nonprofits. In its comments to the committee in support of the bill, the National Council of Nonprofits noted that "mandatory electronic filing of Form 990s and other forms will likely improve accuracy and timeliness, thereby protecting public trust in the integrity of charitable nonprofits. The related provision directing the U.S. Treasury to make that information available to the public in machine-readable format will promote transparency, which is essential for continuing trust." 2. A bill (H.R. 2901) to make permanent the Volunteer Income Tax Assistance (VITA) program. United Ways and many other nonprofits participate in this program, which provides free tax assistance to low-income taxpayers and people with disabilities. For the last several months, the NC Department of Health and Human Services has released Medicaid managed care concept papers which focus on specific subjects related to the proposed Medicaid and NC Health Choice managed care program design. On April 5, two concept papers that may be of particular interest to aging advocates were released. These are "North Carolina's Vision for Long-Term Services and Supports Under Managed Care" and "Using Social Determinants of Health Screening Questions to Identify and Assist Patients with Unmet Health-Related Resource Needs in North Carolina." A copy of these papers can be found by clicking here. Although these technical papers are primarily written for providers and health plans that want to participate directly in Medicaid managed care, aging advocates may wish to comment. Comments can be sent to Medicaid.Transformation@dhhs.nc.gov. The deadline for submitting comments on both papers is April 27. A new Congressional Budget Office report estimates that, largely because of the recently-enacted Tax Cuts and Jobs Act and omnibus spending bill, the federal deficit is projected to exceed $1 trillion annually, starting in 2020. In light of the growing national debt, politicians in Washington are looking for ways to cut federal spending. These spending cuts would likely include steep reductions to many programs that are important to the work of nonprofits. The U.S. House of Representatives voted on a Balanced Budget Amendment (H.J.Res. 2) that would amend the U.S. Constitution to require a supermajority vote in both houses of Congress to approve a federal budget that spends more money than the total amount of revenue collected. The bill didn't receive the two-thirds support in the House that would be needed to send it to the Senate. President Trump and some leaders in the U.S. House of Representatives have discussed the possibility of rescinding some of the domestic spending increases in the omnibus bill that Congress passed last month. While it may be politically challenging for Congress to pass a rescission bill, it could technically rescind parts of the bipartisan spending package with a party-line vote. In March, Congress passed a 10% increase to federal housing programs for fiscal year 2018, including funds for Section 202 Housing for the Elderly new construction, increased funding for Service Coordinators, and RAD for PRAC authority. Now it’s our turn to say, “thank you!” Click here to share your appreciation with your elected officials in a quick and easy fashion. In the wake of recent mass shootings, LeadingAge has received many inquiries from member organizations regarding senior living communities' authority to institute weapons policies on their campuses. Click here for the latest information from LeadingAge national on this issue critical to you and the people you serve. Would Americans Accept Putting Health Care on a Budget? If you wanted to get control of your household spending, you’d set a budget and spend no more than it allowed. You might wonder why we don’t just do the same for spending on American health care. This thought-provoking New York Times article examines the nuances of this concept. How do your colleagues around the state schedule their campus housekeeping services? Be sure to click here to download an Excel spreadsheet that lists responses to the member question on this topic. Thanks so much to everyone who helps sustain this member service by taking time to respond! Our conference block is full and the April 13 cut off date for reservations has passed. However, you are encouraged to try to book at the resort first as numbers can change daily due to cancellations and reservation modifications. While we have always been able to fill the block in the past, this is the first time it has filled so quickly. If you need to cancel a room, please contact Leslie Roseboro prior to contacting The Omni Grove Park Inn. By doing so, we can give that available to room to another attendee. A block of rooms is also available at the Renaissance Asheville Hotel located at 31 Woodfin Street, Asheville (approximately 15 minutes away). Contact the hotel directly at 828-252-8211 and request the LeadingAge NC rate of $169/night. If you have any questions, please don't hesitate to contact the LeadingAge NC office at 919-571-8333. We hope you’ll make plans to join us for our first annual LeadingAge NC Town Hall Conversation. This is your opportunity to provide input about ways national public policy is affecting you, the older adults you serve, and how policy could be changed for the better. NOTE: While this is being held in conjunction with our annual conference, it is free and open to those who are not attending the conference. This workshop is for you - administrators, DONs, CFOs, controllers, and other interested long-term care provider professionals! Join us over lunch and discuss how to strategize for your community around the paradigm shift in third party reimbursement from Medicare Advantage programs, bundled payment initiatives, accountable care organizations and proposed PPS reform. Download flyer. Register now. More information coming soon. Watch our website, social media, and your inbox in the coming weeks. "I truly benefited from this program. So much applicable info. Thank you!" "This was a blessing (awesome presenter). I am most grateful for this knowledge." "Rich is fantastic! He has an excellent mix of humor and truly worthwhile information and guidance." Reserve your spot for the last session! Facilitated by Rick Schlentz of EXTRA!Ordinary, Inc.
Department directors, team leaders, supervisors, and mid managers - would you like a fresh perspective and new ideas about how to engage your team? Plan to join us and learn more about what it takes to create an effective team in this last session of the series. You are welcome to register even if you did not attend the first session. Register online. Download brochure. Please click here to view and print LeadingAge North Carolina's 2018 Event and Education Calendar for yourself and your staff. Be sure to reserve time to learn and refresh yourself at one or more LeadingAge North Carolina events this year. We look forward to seeing you! The North Carolina Bar Association, NC Partnership for Compassionate Care, Community Partners and local attorneys are partnering to provide information and tools for the public to talk about their wishes with family, friends and health care providers, and to execute written advance directives (Health Care Power of Attorney and living will) in accordance with North Carolina state laws. For a list of Advance Care Planning Workshops across North Carolina this month, please click here. 2018 marks the 50th anniversary of the Fair Housing Act. Training staff and volunteers in fair housing may help prevent avoidable fair housing complaints being filed against you. Here are some low-cost (or no-cost) suggestions to keep on top of issues. Advance Your Leadership Capacity *Deadline Extended to May 1! The LeadingAge national Larry Minnix Leadership Academy is a leadership development program designed to strengthen the core competencies of nonprofit leaders in aging services, at all levels and across the spectrum of providers within the LeadingAge membership. The year-long, graduate-level program consists of 5 face-to-face meetings, monthly virtual gatherings, and project-based learning. Take the first step in discovering your fullest leadership potential and be part of this transformative experience. Deadline for applications has been extended to May 1, 2018. Join the more than 25 individuals from North Carolina who have already completed the year-long academy experience by applying today. Learn more and apply today. The 2018 national LeadingAge Awards Call for Submissions is now open. The LeadingAge Annual Awards honor LeadingAge member organizations and individuals that embody excellence in nonprofit aging services. Deadline for submissions is April 30, 2018. LeadingAge CAST is convening this year's long-term and post-acute (LTPAC) Health IT Summit, themed Technology Connecting the Healthcare Eco-System. The event will take place June 24-26, 2018 at the Washington Hilton. It will bring LTPAC providers together with acute care providers, payers, health IT vendors, health information exchange intermediaries, consultants, system integrators, and solution providers with a shared goal—to discuss how technology is connecting the healthcare ecosystem in the era of health and payment reforms. LeadingAge North Carolina members can use Coupon Code LA_CAST18 to get $100 off the registration fee. To learn more please click here. Register here. 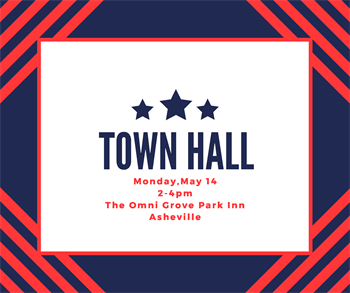 Join the Center and their partners across the state (including LeadingAge North Carolina) for the 2018 Nonprofit Town Hall series. These town halls will include briefings on nonprofit sector public policy issues and trends in North Carolina's nonprofit sector. 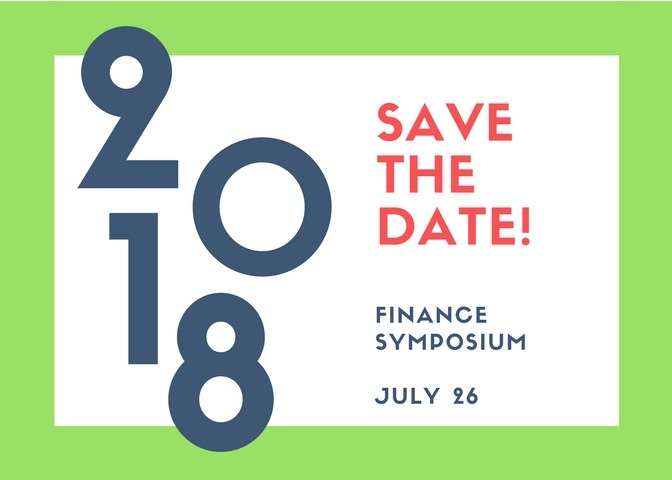 They will also offer nonprofit board and staff an opportunity to discuss hot topics in the nonprofit sector and talk about ways that we can all work together on public policy issues affecting our communities. • High Point: April 27 from 9:00-11:00 a.m.
• Wilmington: April 30 from 1:30-3:30 p.m.
• Washington: May 7 from 2-4 p.m.
Board members of LeadingAge North Carolina are leaders of our nonprofit membership and volunteers who offer their time and expertise with the sole purpose of enriching the field of aging services. 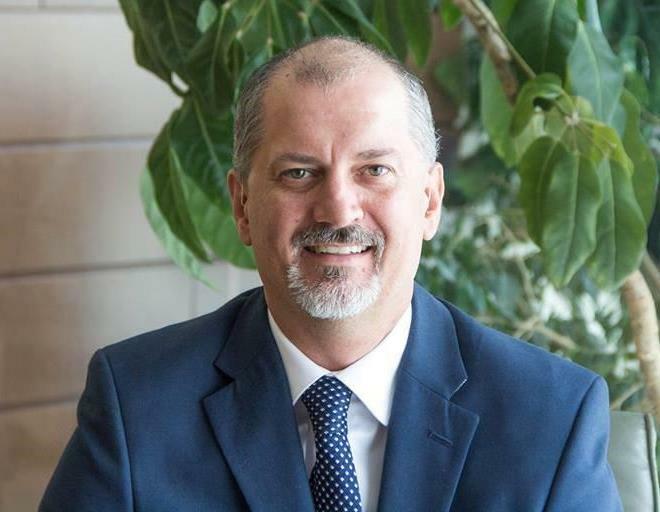 Thanks to Mark Kolada, Director of Operations Management for Life Care Services and Executive Director of WhiteStone in Greensboro, for his service to the board since 2016. We are so glad to get to know you better through this new monthly Volunteer Spotlight. 1. Why did you become involved in LeadingAge North Carolina? Leading Age NC is such a strong organization that has brought tremendous value to our communities and the residents we serve. The advocacy they do on our behalf is priceless. I felt an obligation to get involved and give back. 2. What makes our mission meaningful to you? It’s the success of our communities and thus our ability to serve others. 3. If you had unlimited resources, what is the one thing you as a board member would like to do for the population we serve? I would like to see more progress made on affordable senior housing. There is a significant gap in available options in North Carolina. While improving access to community based services will help to keep people in their own homes, the value and social connectedness of living in a tight knit community, whether it is a Life Plan community or subsidized senior housing is unmatched. 4. If you could swap jobs with a staff member for a day, what would you want to try and why? Who doesn’t want to be Tom Akins for a day! I think we are very blessed as an organization to have Tom as our leader and it would be great to walk in his shoes and see how he gets it all done. 5. What do you do to relax, to get away, and to recharge your batteries? For me nothing is better than a long bike ride to clear the mind and hit the reset button. Whether it is near my home in Greensboro or someplace new on our many travels through the years (Maine, Adirondacks, Siesta Key, Gatlinburg to name a few) it’s a blessing to hit the open road. Congratulations and thanks to everyone who came out to Glenaire in Cary on April 7 for the Glenaire 5K and 1 Mile Fun Run. Almost 400 people registered and about 250 participated early on a rainy day. Glenaire raised $29,000 in sponsorships and all net proceeds will go to residents financial assistance. Mark your calendar for April 6, 2019 for the 3rd annual. A group purchasing organization of LeadingAge and its State Affiliates. Sharps Compliance offers systems to better accommodate the medical waste, used healthcare material and unused medication disposal needs for senior care communities. Sharps Recovery System™ or TakeAway Recovery System™. Includes everything needed to collect medical waste and used healthcare materials for transport through USPS or UPS for proper treatment and repurposing. These systems include a collection container, shipping box, packaging, tracking manifest, instructions, pre-paid return, and proper treatment and repurposing. The February congressional budget deal eased long-standing concerns by lifting a threat that some types of therapy might be restricted. But potential barriers to accessing this type of care remain. Click here for a look at how Medicare now covers such services. This month, CMS will begin mailing new Medicare cards to all people with Medicare on a flow basis, based on geographic location among other factors. Housing providers and their service coordinators should know that residents can expect to receive their cards at different times than others in the same community. Cards will have new and unique numbers for each person, instead of incorporating personalized Social Security Numbers. Medicare has created a new frequently asked questions document entitled 10 things to know about your new Medicare card. 2017 was a busy year for LeadingAge national staff as they advocated for our member communities on Capitol Hill. Click here for a look back at last year’s accomplishments — a fascinating look at your dues in action! We have been informed that the block offering discounted room rates we set aside for our conference is currently full. However, you are encouraged to try to book at the resort first as numbers can change daily due to cancellations and reservation modifications. While we have always been able to fill the block in the past, this is the first time it has filled so quickly. If you need to cancel a room, please contact Leslie Roseboro prior to contacting The Omni Grove Park Inn. First Session - Next Week! Department directors, team leaders, supervisors, and mid managers - would you like a fresh perspective and new ideas about how to engage your team? Plan to join us and learn more about what it takes to create an effective team. Sessions will be highly interactive. We encourage you to register for the entire series for maximum benefit. However, individual session registrations are welcome. Register online. Download brochure. This 3-day training empowers participants to serve as change agents, prepared to infuse person-directed practices into the daily operations of their organizations. Participants learn how to apply the Eden Alternative Ten Principles across all settings to create a life worth living for all members of the care partner team. Communities may register up to 2 participants, space is very limited. Last week’s American Society on Aging Conference, held in San Francisco, included a panel discussion with four of Next Avenue’s “Influencers in Aging.” This article from Forbes magazine details their individual takes on the key drivers moving forward in our field. Lyft has partnered with Acuity Link to expand non-emergency medical transit options for hospitals, the latest in the ride sharing app's expansion into healthcare. Read more about Lyft's ambitious goal to eliminate transportation barriers to healthcare. What organization doesn't like a good photo to illustrate a program, event, or promotion? However, copyright issues may be a little hazy if your nonprofit didn't snap the shot. For clarity on the do's and don'ts of using photography, check out Venable's Can My Nonprofit Use that Photo? No. Yes. Maybe? If you are curious about how your colleagues in the state handle random drug testing, be sure to click here to download an Excel spreadsheet that lists responses to the member question on this topic. Thanks so much to everyone who helps sustain this member service by taking time to respond! Study leadership theory and practice. Explore gaps in care and service delivery. Engage in shared learning with a richly diverse group of aging services professionals. Visit innovative member organizations across the country and interact with seasoned leaders in the field. Take the first step in discovering your fullest leadership potential and be part of this transformative experience. Deadline for applications is April 20, 2018. Join the more than 25 individuals from North Carolina who have already completed the year-long academy experience by applying today. 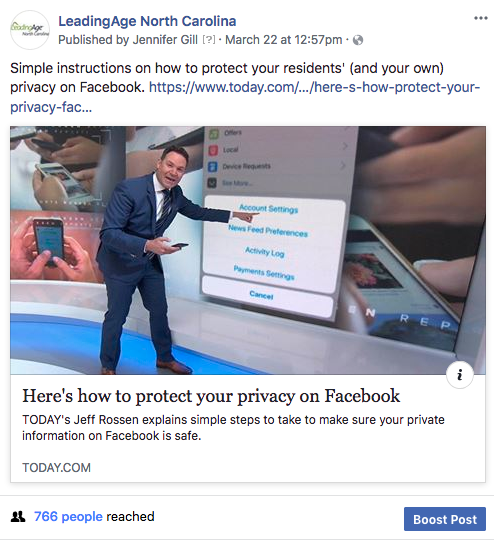 Last month, the most popular Facebook post for LeadingAge North Carolina was related to Facebook privacy. Click here to view the article that is referenced in the post below. Be sure you and your community follow LeadingAge North Carolina on Facebook to get the latest news, registration information and more! Last month the most popular LeadingAge North Carolina tweet was about advocacy work by the Association during PEAK. Be sure you and your community follow LeadingAge North Carolina on Twitter to stay current on advocacy issues and trends in the field. "Books We Love" Campaign Closes Next Week! Post Your Book Today! Visit our Facebook page and Twitter pages and post the title of a book that has been inspirational to you professionally and why (briefly). 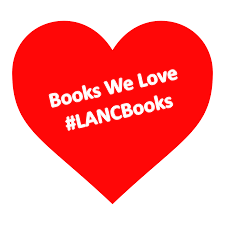 When you post please use the hashtag #LANCBooks and be sure to like and follow us. We'll compile the book titles and share the list with everyone after the close of the campaign, April 13. Everyone who submits a post will be entered into a drawing to win one of three $200 Barnes and Noble gift certificates. Three lucky winners' names will be drawn at our Spring Conference this May in Asheville, but you do not have to be present to win. One winner will be from a member community and another from a member business...a third certificate will be presented to an individual who is not a staff person of a member community or business. Let's build our reading list together! First Session - a Week from Today! This workshop is for you-administrators, DONs, Controllers, and other interested long-term care provider professionals! Join us over lunch and discuss how to strategize for your community around the paradigm shift in third party reimbursement from Medicare Advantage programs, bundled payment initiatives, accountable care organizations and proposed PPS reform. Download flyer. Register now. Please click here to view and print LeadingAge North Carolina's 2018 Event and Education Calendar for yourself and your staff. Be sure to mark your calendar for several programs. Be on the lookout for registration announcements by email, social media, and our website. We look forward to seeing you! of general or group correspondence, you can update your email preferences here: @@unsubscribe_url@@. Last week, LeadingAge North Carolina submitted a petition to the State Health Coordinating Council asking for an exception for CCRCs/LPCs to the need determination process for Medicare-certified Home Health. In short, while communities wishing to provide Medicare-certified home health services (to individuals they have under contract) would still need to apply for a home health license, if our petition is successful they would not be bound by the current need determination process that has kept our residents on the sidelines. 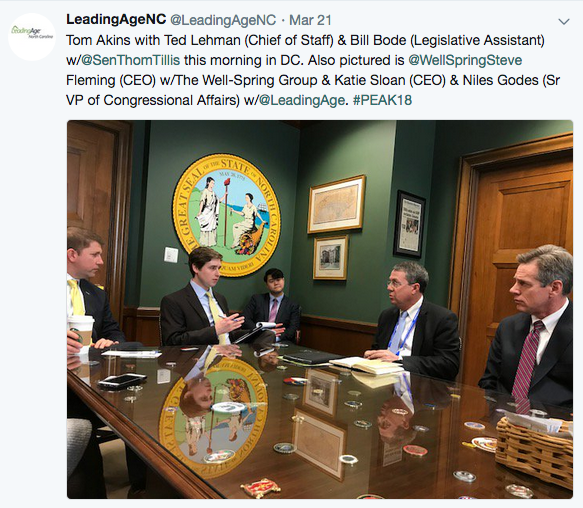 In presenting our case to the Council, Lee Syria (CEO of United Church Homes and Services) and Tom Akins (CEO of LeadingAge North Carolina) made the case that home health, along with Home and Community Based Services, will be much more prevalent in the future. It is a forward-thinking idea that is cost effective and provides savings to the Medicare Program. They also detailed CCRCs/LPCs ability to follow their residents through the post-acute episode within the community in a way that outside home health agencies can’t and expanded on the reality of our current conformity and expertise with Medicare regulations. In the final analysis, CCRCs/LPCs that would be allowed to provide Medicare-certified home health services could provide greater continuity of care with potential cost savings to the state…all without sacrificing quality. Public comments on LeadingAge North Carolina’s petition can be made online before 5 pm on Thursday, March 22nd by sending emailing them to DHSR.SMFP.Petitions-Comments@dhhs.nc.gov. You can view a copy of the petition and Lee and Tom’s testimonies by clicking here. Washington's attempt to pass a long-term care tax failed. Here's why, and what's next. A bipartisan effort to help seniors pay for nursing home care died last week when Washington’s state Legislature ended its 2018 session. A bill would have collected a payroll tax to establish a long-term care fund, eventually providing $100 per day for up to 365 days to eligible adults in nursing homes, their residences or other community settings. While not successful this session, advocates promise to come back next year with another attempt at putting a state spin on the challenge of financing long term care in the future. The North Carolina General Assembly’s Joint Oversight Committee on Health and Human Services earlier this week approved a series of recommendations, including one that will allow the Subcommittee on Aging to continue its study of the State’s delivery of services for older adults during the interim period following the 2018 Regular Session. The move is a victory for LeadingAge North Carolina and other aging services providers in their work to focus more attention on the state’s need to adopt a comprehensive strategy for aging. Triangle: March 22 from 1:30-3:30 pm. Charlotte: April 18 from 2-4 p.m.
High Point: April 27 from 9:00-11:00 a.m.
Washington: May 7 from 2-4 p.m. The tax law changes that were signed into law at the end of 2017 mean that many nonprofit employees will need to have less federal income taxes withheld from their paychecks and some will need to have more taxes withheld. Last week, the Internal Revenue Service released a new income tax withholding calculator to help your employees better assess their tax withholdings for 2018. For employees who need to change their withholdings, the IRS also has released a new Form W-4. Nonprofits are encouraged to share these resources with their employees so they can make necessary adjustments to the amount of taxes withheld from their paychecks. The IRS also published a new set of frequently asked questions on tax withholding. Department directors, team leaders, supervisors, and mid managers - do you have all the tools you need to engage your team? Could you use a fresh perspective and new ideas? Plan to join us and learn more about what it takes to create an effective team. Sessions will be highly interactive. We encourage you to register for the entire series for maximum benefit. However, individual session registrations are welcome. Register online. Download brochure. Registration will open later this month! Look for announcements by email, social media, and on our website. Preview conference schedule here. General conference information. Please click here to view and print LeadingAge North Carolina's 2018 Event and Education Calendar for yourself and your staff. Be sure to mark your calendar for several programs. Be on the lookout for registration announcements by email, social media, and on our website. We look forward to seeing you! Are We Confronting the Nonprofit Racial Leadership Gap? The North Carolina Center for Nonprofits is hosting the third webinar of its "Walking the Talk: Equity, Diversity, and Inclusion in North Carolina Nonprofits" series. Building Movement Project (BMP) co-director Frances Kunreuther will discuss Race to Lead: Confronting the Nonprofit Racial Leadership Gap, the first report in BMP’s Race to Lead series that explores why there are so few leaders of color in the nonprofit sector. Based on results from a national survey of over 4,000 nonprofit staff members, the report finds that people of color and white respondents are equally qualified, and that people of color are more likely to be interested in becoming a nonprofit leader. The discussion will also include a report on the LGBTQ subsample, Working at the Intersections: LGBTQ Nonprofit Staff and the Racial Leadership Gap. S.P.I.C.E. offers this three-day program every spring and fall. It is designed to provide participants with current and practical information for the recognition and management of common infection prevention issues in non-acute care facilities, with an emphasis on long term care. Basic statistics for surveillance and antibiotic stewardship are new additions to the course. Another program is scheduled for Sept. 10-12, 2018. Registration for this program will open in July. For a list of Advance Care Planning Workshops across North Carolina, click here. Uber is officially launching a new app, Uber Health, that allows a healthcare worker to book a ride on demand or schedule a future ride for a patient. The passenger is alerted by text or phone call with trip details. The product has been tested by about 100 hospitals and doctor's offices so far. Read more. Advance care planning documents help your loved ones and caregivers know what healthcare interventions you would want if you became unable to communicate your wishes. Too many of us do not plan for this possibility the way that we plan for childbirth, marriage, and other major life events. Read more about where and how to start for yourself and your loved ones. And check out the section above this one for a list of advance care planning workshops offered across the state this month. Martha Holstein is the guest editor of this publication featuring stories and research on the contemporary aging experience for women. Clinical and social work staff in your community might find this information particularly useful in their work with residents. Read more. A neurologist who specializes in treating memory disorders is interviewed about the differences between normal memory lapses and warning signs of something more concerning. He also suggests diet and exercise routines that might help cognitive health. Read more. Password protecting your laptop isn't enough to stop thieves from accessing your personal information, including finances, health records, and more. Encrypting your hard drive is the best way to protect your laptop. The good news is that anyone can do it on his or her computer at home, and it should take only a few minutes to get up and running. Read more about how to encrypt your laptop in this important article. Take the first step in discovering your fullest leadership potential and be part of this transformative experience. That’s the percentage of Americans who are going with cremation after death, up from less than 5 percent of Americans in 1980. That growth is due to a number of factors — one being the high cost of burial, another being increased societal and religious tolerance for cremation. In some areas like California, South Florida and Oregon that number is as high as 60 to 80 percent. The National Aging and Disability Transportation Center's newest publication, Dementia, Caregiving and Transportation— highlights a range of transportation resources and provides recommendations for various community sectors to support people living with dementia and their caregivers. The publication also includes dementia friendly tips for transit drivers, items to include in a travel kit for a loved one living with dementia and more. LeadingAge CAST is convening this year's long-term and post-acute (LTPAC) Health IT Summit, themed Technology Connecting the Healthcare Eco-System. The event will bring LTPAC providers together with acute care providers, payers, health IT vendors, health information exchange intermediaries, consultants, system integrators, and solution providers with a shared goal—to discuss how technology is connecting the healthcare ecosystem in the era of health and payment reforms. LeadingAge North Carolina members can use Coupon Code LA_CAST18 to get $100 off the registration fee. To learn more please click here. Join us. 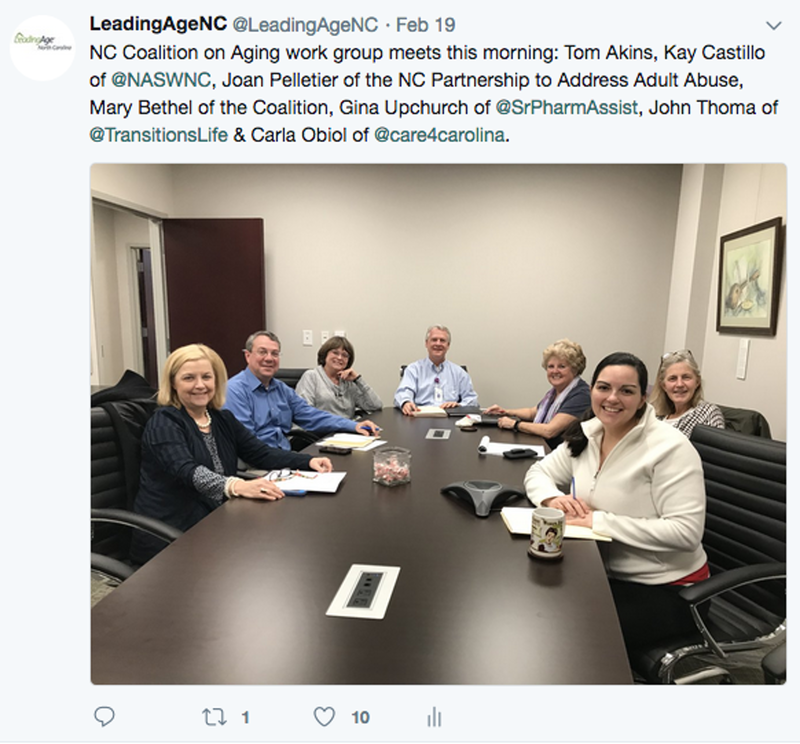 Board members of LeadingAge North Carolina are leaders of our nonprofit membership and volunteers who offer their time and expertise with the sole purpose of enriching the field of aging services. This Volunteer Spotlight is the first of a new monthly feature that will highlight an individual board member. It's National Social Work Month! So we thought it appropriate to feature a board member who is also a social worker. Thanks to Ursula Robinson for her service to the board since 2017 and for her willingness to be interviewed for this newsletter. We are so glad to get to know you better! Joining LeadingAge was a natural progression for me. I was raised by grandparents and my first professional job was Social Work Director at a skilled nursing community. The core values of LeadingAge North Carolina speak to my passion for leadership, collaboration, service to others and commitment to older adults, their families and the network which serves them. I have spent the majority of my professional career advocating for older adults and their families. Additionally my program (PACE of the Triad) is the product of a collaboration between four leading non-profit health care organizations in Greensboro committed to innovation in the field of aging. I would create a center for workforce excellence. The center would provide the technologies, competencies and skills necessary for the workforce to exceed expectations of residents, family and community. The Center would have innovative programming for professional and personal development. I would want to be a Recreational Therapist/Activities or Fitness Director. I enjoy interacting with older adults. In my previous community, I was impressed with the different methods this group of staff were able to reach residents regardless of cognitive and physical abilities. I have two favorite things to recharge: dancing with my church ministry and going to the beach with family. Visit our Facebook page and Twitter pages and post the title of a book that has been inspirational to you professionally and why (briefly). When you post please use the hashtag #LANCBooks and be sure to like and follow us. We'll compile the book titles and share the list with everyone after the close of the campaign, April 13. At press time, 11 folks have posted to #LANCBooks, let's keep growing that number and get a great list of books going! It's official! LeadingAge North Carolina members can now buy from US Foods through Value First GPO (group purchasing organization). Contact your representative Vanessa Ceasar for additional information about the new US Foods contract at 404-421-3956. Eligible Plans: Voice plans $39 and above. Data Plans $50 and above. Discounts: Corporate and Individual Employees 25% off recurring monthly charges for eligible plans. Eligible Plans: Calling plans $34.99 or higher. Data features $24.99 or higher. Looking for savings? Now is a good time to compare what you are currently paying for housekeeping and janitorial supplies to pricing available through Value First GPO. Call or send an email to Vanessa Ceasar to schedule a housekeeping supplies cost study for your community, and to sign up for AT&T or Verizon employee cellular discounts at 404-421-3956. Value First, an affiliate of Vizient/Provista, is a group purchasing organization owned by LeadingAge national and twenty-five state associations, including LeadingAge North Carolina. Value First is designed to leverage the buying power of thousands of senior service providers across the country to get the best pricing on a comprehensive array of products and services. Having trouble viewing this email? Click here to read in your browser. The Aging Subcommittee of the Joint Legislative Oversight Committee on Health and Human Services met recently for its third meeting since being established. As with the previous two meetings, the Subcommittee continued to hear from representatives of aging organizations in the state and from state and local officials about programs available to assist older adults. The Subcommittee also reviewed and approved an interim report to the Legislative Oversight Committee, as called for by the authorizing legislation, which contained one recommendation which was to recommend that co-chairs of the Joint Legislative Oversight Committee on Health and Human Services allow the Subcommittee on Aging to continue its study of the State's delivery of services to older adults during the interim period following the 2018 Regular Session of the 2017 North Carolina General Assembly. As part of the FY2018 hospital payment rule, CMS finalized proposals allowing providers to utilize an electronic signature on the cost report (in lieu of an original signature) and to submit electronically the cost report certification and settlement summary document. In an effort to hasten the time frame for permitting this increased flexibility, CMS made the changes effective for cost reporting periods ending on or after December 31, 2017. In recent days CMS has also announced the availability of a new option under which cost reports (which would include electronic signatures and the cost report certification and settlement summary document) may be submitted electronically. The new Medicare Cost Report e-Filing System (MCReF) is not yet publicly available but is expected to be available through the Enterprise Identity Management (EIDM) system. CMS is expected to offer education about the new process associated with these changes sometime in March or April. Thanks to the folks at DHSR who listened to your suggestions about the need to revise reporting forms for allegations and investigations of abuse, neglect, misappropriation, fraud, diversion of drugs and applicable injuries of unknown source (often referred to as the 24-hour report and the 5-day report). DHSR has announced those forms have been revised and will be easier to complete electronically. They will be available on the DHSR website starting March 5, 2018. The state General Assembly wrapped up its latest special legislative session in late February after passing HB 90, an omnibus bill covering class size reductions, adjusting the composition of the State Board of Elections and Ethics Enforcement, and the mitigation fund for counties impacted by the Atlantic Coast Pipeline. Legislators are expected back in Raleigh on May 16 for the traditional short legislative session. Interim Committees will continue their work, including working on plans for judicial redistricting. It looks like district maps may finally be set for the election of members to the NC General Assembly. A U.S. Supreme Court decision reset district lines for the state House and state Senate. Barring further changes, the order means districts drawn by an outside expert will be used in Cumberland, Guilford, Hoke, Bladen, Sampson and Wayne counties. A panel of federal judges hired a redistricting expert, called a "special master," to correct unconstitutional racial gerrymanders that the court said the legislature had failed to fix. Primary elections for statewide judicial races in North Carolina are canceled again after an appeals court granted a request from Republican lawmakers to temporarily halt a federal judge's ruling. Barring any further action by the courts, candidates seeking judicial seats in 2018 will file for election from June 18 to June 29. According to data released in January by The Pew Charitable Trusts, North Carolina's "rainy day" fund ranks 14th in the country for the number of days it could sustain state government operations. According to Pew, the current reserve fund balance is $1.8 billion, or 8.3 percent of annual spending. That means state government could operate for 30.4 days using only the rainy-day fund before it would run out of money. Over the last five years, more than 385,000 patient records in North Carolina have been exposed in more than 40 cybersecurity incidents. Federal laws require attacks involving 500 or more patient records to be disclosed, but smaller breaches and other types of cyber attacks aren’t always made public leaving some of us less aware of the threat. Click here for more on the problem as well as ideas on how to keep resident records safe. As we mentioned in the most recent Member Update, with more and more of our professional and personal lives intertwined with all things cyber, this article from LeadingAge nationalprovides concrete ways of protecting your information (including a benchmarking questionnaire) from those who want to take it from you. Working on board inclusivity is an ongoing process. In this article two nonprofits' efforts at inclusion are highlighted. They include: term limits, board orientation, frequent communication, a board mentor program, board retreat, and more. Read more here. Thanks to everyone who took the time to respond to the member question about resident sexual harassment policies. We did receive one actual policy which is embedded in the Excel file that lists all responses available for download here. Everyone who replies to these questions helps keep the program going - thank you! North Carolina experienced a 5.3% decline in enrollment on the 2017 federal health insurance exchange. There were 519,803 enrollees for 2017, down from 549,158 in 2016, according to The National Academy for State Health Policy. Blue Cross and Blue Shield of North Carolina covered 502,000 marketplace participants in 2017. It was the only provider in 95 of the state's 100 counties for 2017. The national enrollment was 11.8 million, down 3.7% from 2017. Even with the decline, North Carolina again had the fourth highest overall enrollment, as well as third highest among the 34 states on the federal-based marketplace. Read more here. The state treasurer's office announced that the state pension plan reported gains of 13.5% for the calendar year 2017, outperforming its benchmark of 12.8%. Pension fund assets were valued at $98.3 billion, up from $89.1 billion at the end of 2016. The treasurer's office also announced that because the new federal tax plan lowers the amount of federal taxes on benefit payments to North Carolina retirees, the average state retiree will save about $18 a month, which could amount to about $220 a year. There are approximately 312,000 people getting retirement benefits from the state. In 2016, more than 675 million opioid pain-killers were dispensed to North Carolina residents, a 52% increase over a five-year period. That breaks down to more than 65 pills for every man, woman and child in the state. In one-third of North Carolina's 100 counties, there were more opioid prescriptions than people. Between 1999 and 2016, N.C. deaths tied to opioids grew by more than 900%. CliftonLarsonAllen (CLA)’s latest survey of aging services executive compensation, the 2017 LeadingAge-Chief Executives of Multisite Organizations (CEMO) Executive Compensation Study, is now available. The 2017 study outlines compensation and other employment practices of multisite aging services organizations throughout the country. The data covers more than 15 key executive positions and includes analysis on salary, total cash compensation, and total salary including benefits, incentive plan utilization and targets, benefit plan incidence, regression analysis for compensation based on an organization’s revenue, and governance-related survey data regarding compensation practices. The NC Department of Motor Vehicles can issue a "VETERAN" designation on driver licenses and identification cards to help veterans get military discounts without having to show paperwork or other identification. Veterans who were honorably discharged can bring their DD-214 discharge forms to apply at any drivers' license office in the state. The State Health Department has shared the 2017 MDRO Toolkit for Long-Term Care and Assisted Living. Please click here to download a PDF of the document. Visit our Facebook page and Twitter page and post the title of a book that has been inspirational to you professionally and why (briefly). When you post please use the hashtag #LANCBooks and be sure to like and follow us. We'll compile the book titles and share the list with everyone after the close of the campaign, April 13. At press time, 11 folks have posted to #LANCBooks, let's keep growing that number and get a great list of books going! Looking for savings on maintenance, repair and operations? Whether you are in the market for new appliances and air conditioning units or planning to replace cabinets and furniture, let Value First vendors compete for your business. There are hundreds of contracts in place that cover virtually everything your community needs. If your community does a significant number of unit turns or renovations throughout the year, Value First can work with vendors to negotiate prices on appliances and other items based on anticipated volume for the year. You achieve cost savings based on total quantity rather than one-off discounts. And, items can be drop shipped as needed so you don't have to worry about storage. Value First members are eligible to have cost studies done free of charge. Cost studies help to identify potential savings by comparing what you are currently paying to pricing available, for the same products, through Value First group purchasing organization. For additional information contact your Value First representative Vanessa Ceasar at (404) 421-3956. Value First group purchasing is owned by LeadingAge. This is your GPO! and news related to inclusion and diversity issues in aging services. We welcome your feedback, questions, and ideas. Ever feel like your community is the only one struggling with board diversity? You are not alone. This article highlights how one nonprofit is addressing the issue. The organization is developing cultural competency efforts to identify, recruit, and elect a diverse and talented board. Read more. In one link gain access to the Society of Human Resource Management's top seven diversity and inclusion articles from 2017. Topics covered include Millennials, older workers, sexual harassment and more. Research shows that people are more likely to be promoted when they are part of the social fabric at work. What if you are an excellent contributor, but socializing feels risky because you are not sure if your cultural frame of reference will be understood or accepted? These authors suggest several ways to create a more open and curious informal daily dialogue among co-workers, as well as what leaders might read, how to structure mentoring programs, and what kinds of events tend to facilitate authentic interactions among co-workers of all backgrounds. Read more. Art museums in New Orleans, Boston, Los Angeles, Pittsburgh, and Chicago are among 20 chosen to develop innovative strategies to diversify art museum leadership. Organizers hope to compile the results of the initiatives to provide potential solutions for other institutions. The $6 million campaign is funded by the Ford Foundation and the Walton Family Foundation to help cultural institutions reflect demographics of the U.S. Read more. Editors at Harvard Business Review collected 20 of their best research articles on diversity and inclusion and organized them with discussion questions to help your organization. The table of contents on page three will help you select the articles you want to read; they cover gender, race, LGBT and culture. The collection may hold some gems as we all contemplate ways to make sure our organizations are as diverse and inclusive as possible. Thanks to one of our members who reminded us of this award-winning video resource. A documentary released in 2010, Gen Silent was filmed over one year as producer Stu Maddux followed six LGBT older adults living in the Boston area. The viewer follows them as they navigate the long term care system and face gut wrenching decisions about whether to be open about their sexuality in order to survive in a system that is not inherently accepting. LeadingAge North Carolina screened this film at the 2015 Spring Conference. 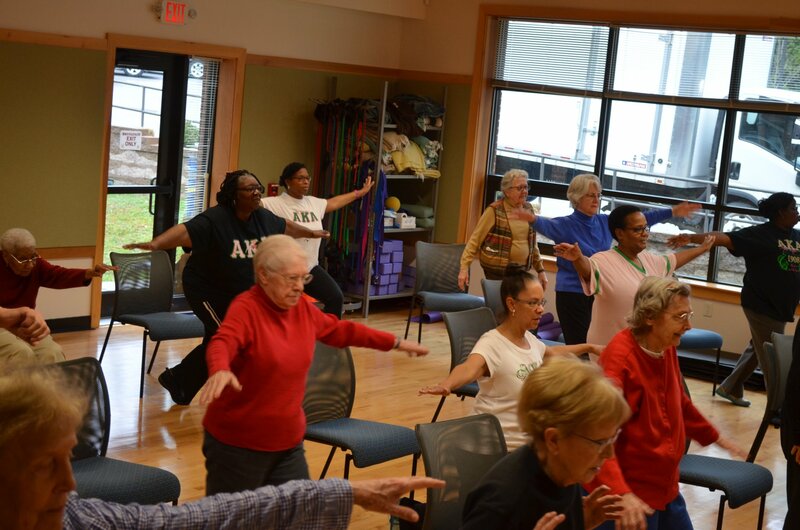 Residents at Carol Woods in Chapel Hill celebrated February's Heart Health Awareness Month by being active. 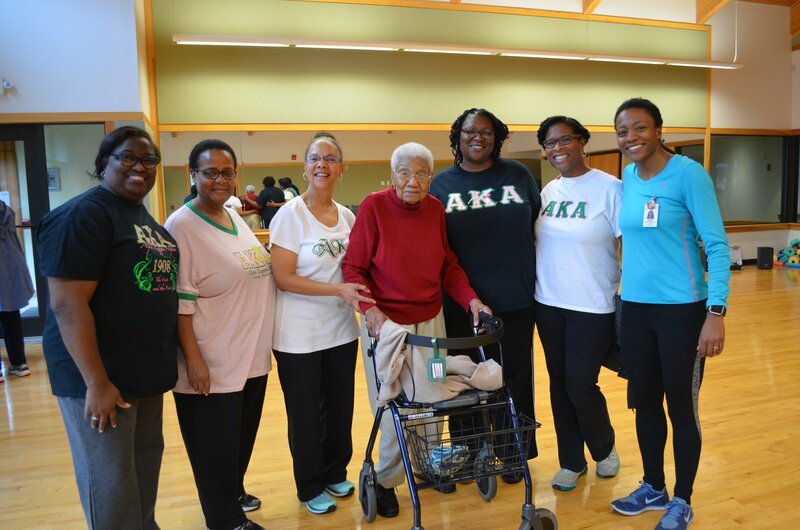 A Cardio 'n Tone class on campus was held for residents as well as members of the Mu Omicron Omega chapter of Alpha Kappa Alpha sorority in Chapel Hill. Way to keep your hearts healthy and strong together! Provide inadequate funding for homeless assistance programs at a time when homelessness among older adults is on the rise. CMS posted notice that it will use the 2017 Q4 Payroll-Based Journal (PBJ) data to replace the existing staffing measures posted on the Nursing Home Compare website. 2017 Q4 submissions were due on Feb. 14, 2018. CMS is planning to introduce PBJ-based staffing measures in April 2018. The initial data from one quarter will be reported. Data from other quarters may be added later; however, CMS has not given a timeline. There is discussion about discontinuing the 671 around the same time. Overall, 95 percent of nursing homes in the country submitted data for 2017 Q3. CMS states that the number of nursing homes submitting data has increased steadily from the initial submission period in 2016. Applications are due in one week on Friday, February 23rd! You won't want to miss applying for the next class of LeadingAge North Carolina's Leadership Academy. Take your career to the next level! The program is open to anyone who works for a member community. Each community may nominate only one person. So make sure someone from your community is nominated for this year-long program designed to develop statewide aging services leaders. Learn more and apply now. Co-workers want to receive email notifications about registration and other announcements? Be sure to tell them to visit our website and register in the top right corner of the page as community member staff, or business member staff if your company is a business member. Business members please note that registration for the 2018 Trade Show is open with only a few booths left. Booths are going quickly so be sure to reserve yours today and renew your business membership to connect with nonprofit retirement communities across the state. Mid Managers Series is Back - Register by Fax Today! Department directors, team leaders, supervisors, and mid managers - do you have all the tools you need to engage your team? Could you use a fresh perspective and new ideas? Plan to join us and learn more about what it takes to create an effective team. Register by fax today. Online registration opens next week. There are many reasons why doctors may avoid talking with a patient about a terminal diagnosis. But neglecting a discussion about impending death avoids the truth, leaving patients and families with a false sense of hope. Thanks to Atul Gawande and Susan Block, doctors at Massachusetts General Hospital in Boston are now practicing how to have these challenging discussions using the Serious Illness Conversation Guide. Read more. The author of this brief article reviews three simple rules to remember when working on establishing a healthy feedback culture at your organization. The rules may be simple but comfort and skill with the process will probably take time. Read more. Alliance Behavioral Healthcare, the state-funded managed care organization that covers Durham, Wake, Cumberland and Johnston Counties, asked a group of therapists to create the state's only mental health urgent care clinic. Located in Durham, Carolina Outreach has been in operation since July and is slowly seeing an increase in the number of patients served as word gets out about the only clinic of its kind in North Carolina. Read more. Those catchy sounds and songs from our smart phones give us a squirt of dopamine and literally create in us a pleasure response. Smart phones and their apps are designed to be addictive, and for many of us they are, despite our best efforts. But with a little awareness you can take back control over these small but powerful devices, and return them to their proper place in your life. Read more. Thanks to everyone who responded to the member question earlier this month about staff transportation during snow. Several people responded and their answers are compiled in an Excel spreadsheet you may download here. “Books We Love” launched earlier this week on Valentine’s Day! What book do you love? Visit our Facebook page and Twitter page and post the title of a book that has been inspirational to you professionally and why (briefly). When you post please use the hashtag #LANCBooks and be sure to like and follow us. We'll compile the book titles and share the list with everyone after the close of the campaign, April 13. At press time, 11 folks have posted to #LANCBooks, let's keep growing that number and get a great list of books going! The 2017 edition of the LeadingAge Ziegler 150 (LZ 150) is now available. The report, first published in 2004 and updated annually, offers a compilation of data from the 150 largest nonprofit systems in the United States. With more and more of our professional and personal lives intertwined with all things cyber, this article from LeadingAge national provides concrete ways of protecting your information (including a benchmarking questionnaire) from those who want to take it from you. The recently released 2017 LeadingAge Virginia Philanthropy Benchmarking Study is the first of its kind examining the impact of Virginia Life Plan Communities' (LPC) practices and results, and compares them to industry best practices. This study is diagnostically important to the evolution of fundraising in the sector, and follows preliminary studies conducted nationally by the LeadingAge Philanthropy Cabinet and at the state level by LeadingAge Ohio. The report reveals that LPCs have a great opportunity to successfully fundraise amid both higher demand for aging services and the uncertainty of traditional revenue streams. Those organizations that are investing in philanthropy are being handsomely rewarded: For every $1.00 invested in fundraising at Virginia LPCs, the return is $4.70. These results far outpace the national average ROI among many non-profit sectors. Member communities should have received an email reminder earlier this week from LeadingAge national with a link to a brief member survey. The survey seeks information on your community’s level of activity related to alternative payment models, such as accountable care organizations and bundled payment; initiatives to improve the coordination and integration of the services for older adults or other innovations you may be pursuing. Completing the survey will take no more than 20 minutes and much less for those not currently engaged in payment or service delivery reform activities. National will use the information to build an inventory and produce reports for states on member responses. Results will also be shared with members at PEAK and in future communications. Finally, this data assists advocacy efforts around integrated services vision and for additional opportunities for members to lead innovative models. If you have any questions or did not receive the email with the survey please contact Nicole Fallon. Medicaid is projected to grow at a 5.8% rate through 2026, slower than previous years, according to CMS. A report issued earlier this week found that from 2014 to 2016, Medicaid grew at an 8.3% rate due to expansions through the Affordable Care Act. The program is the largest payer of U.S. long-term care services. Total health spending this year is projected to grow by 5.3%, according to CMS and a report published in Health Affairs. Medicare is projected to experience the most rapid annual growth at 7.4%. That's due to larger numbers of beneficiaries who can enroll, and faster growth in utilization. Spending growth in nursing care and CCRCs is expected to jump from 3% annually in 2013 to 5.3% by 2026, hitting around $261 billion in expenditures by 2026. By 2026, federal, state and local governments are projected to finance 47% of national health spending. We are pleased to announce that the 2017-2018 Assisted Living Salary & Benefits Report has just been released. This year marks the 20th year of publishing the Report. The discounted price for LeadingAge members is $275. In addition, LeadingAge national's Behavioral Health Study is now underway. If applicable to your community, questionnaires are available by clicking here. The study deadline is March 12th with publication in April. Nursing.org recently published a nursing education and career guide specifically for residents of North Carolina. The guide provides convenient, centralized information, including: Salary and employment data, Steps to earn licensure in North Carolina, and Local professional organizations and the top healthcare employers in North Carolina. o Examples include coalition work, participating in sign-on letters, submittal of statements for the record, comments on regulations. The Recognize, Assist, Include, Support, and Engage (RAISE) Family Caregivers Act has passed Congress with bipartisan support. A broad coalition of aging and disability organizations advocated for the passage of the legislation. The Act requires the Secretary of Health and Human Services to develop, maintain, and update a strategy to recognize and support family caregivers. An advisory committee will be formed to develop the strategy with public input. The development of the initial strategy will take up to 18 months, followed by biennial updates. North Carolina, along with ten other states, has received permission from CMS to require Medicaid recipients, with some exceptions, to either work or participate in activities such as job training and volunteering in order to qualify for benefits. The ruling from CMS affects the federal Medicaid waiver request submitted by the McCrory administration in June 2016 and amended November 20 by the Cooper administration. The state's request for the work requirement applies only if Medicaid expansion, which is opposed by the General Assembly, comes to fruition in North Carolina. Governor Cooper's administration has not asked for permission to add work requirements to the state's existing Medicaid health insurance program, which covers more than 2 million people. The meeting of the Aging Subcommittee of the Joint Legislative Oversight Committee on Health and Human Services scheduled for January 18 was cancelled due to snow and ice. The next meeting of the Subcommittee will take place on Monday, February 12, at 1:00 p.m. in room 643 of the Legislative Office Building. The Legislative Analysis Division of the North Carolina General Assembly has released its summary of legislation related to aging. This helpful seven-page document can be accessed by CLICKING HERE. The Legislative Study Committee on Access to Healthcare in Rural North Carolina recently met for the first time. The Committee was established because of a concern about an increasing shortage of doctors and health care facilities in the state. The committee did not take any formal action at the meeting but heard a series of presentations on the issue. 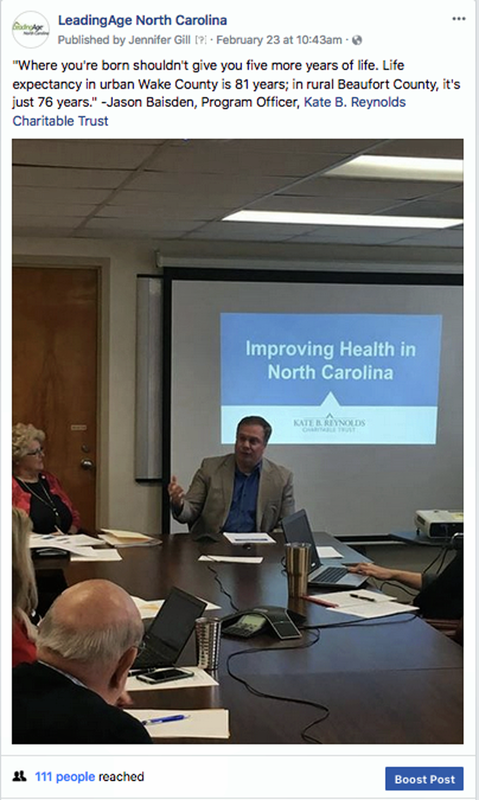 Among information shared at the meeting was the following: North Carolina ranks 29th in the country in the number of active doctors per capita, 32 counties don't have a psychiatrist, five rural hospitals have closed since 2010, and three counties (Camden, Gates and Tyrrell) have no primary care doctors. It was noted that the rural healthcare shortage is tied to economic development issues. Materials from the meeting can be accessed here. See a story from NC Health News on the meeting here. The House Select Committee on Strategic Transportation Planning and Long Term Funding Solutions recently met and one of the items on the agenda was transportation planning for aging populations. The Committee heard from Blair Barton-Percival, Area Agency on Aging Director at the Piedmont Triad Regional Council. He shared demographics on the senior population and discussed the importance of transportation in helping older adults to live independently and to have access to appropriate services and supports. He also discussed transportation barriers and some of the challenges of public transportation. He suggested that in order to provide adequate services, the state should increase funding for the Home and Community Care Block Grant, investigate changing trends and payment models in healthcare, focus funding on addressing social determinants of heath and save on the high expenses of nursing home care on the back end, and find opportunities within transitioning North Carolina from a traditional fee-for-service Medicaid to managed care. To see copies of the power point presentations for speakers at the meeting, click here. In a presentation to the Joint Legislative Transportation Oversight Committee, state Division of Motor Vehicles (DMV) Commissioner Torre Jessup urged legislators to be cautious if they still want to consider eliminating DMV nurses from the process used to evaluate a driver's medical condition. The 2017 state budget included a provision requiring DMV to study the issue and determine any issues that may arise from using only the recommendation of the applicant's or licensee's examining health care provider as to the ability of the applicant or licensee to operate a motor vehicle. In presenting the findings of the study, Jessup noted that the study was "too limited to explore all the issues and ramifications of eliminating nurses," and he recommended that "a more comprehensive study should be done before making a decision" on the future of DMV nurses. The study found potential problems in relying solely on drivers' healthcare providers to determine if they can safely drive. About 31 percent of healthcare providers don't provide recommendations on whether their patients should have driving privileges. The study found that the DMV's nurse reviewers were more likely than the healthcare providers to apply condition-specific driving restrictions -- such as limiting someone from driving at night -- instead of completely revoking licenses. The study said that future studies should include input from healthcare industry groups. You won't want to miss applying for the next class of LeadingAge North Carolina's Leadership Academy. The program is open to anyone who works for a member community. Each community may nominate only one person. So make sure someone from your community is nominated for this year-long program designed to develop statewide aging services leaders. Learn more and apply now. Business members please note that registration for the 2018 Trade Show is open. Booths are going quickly so be sure to reserve yours today and renew your business membership to connect with nonprofit retirement communities across the state. Mid Managers Series is Back - Save the Date! More details here. Registration will open soon. The National Alliance for Caregiving has released an advocacy report, From Insight to Advocacy: Addressing Family Caregiving as a National Public Health Issue. The report is offered as one response to an emerging trend: eldercare is projected to be the fastest-growing employment sector within health care. With as many as 44 million people estimated to provide care to an older adult or person with a disability, current research has noted that unpaid family caregiving impacts not just individuals, but family units, communities, states, and the nation. The report identifies actions that can be taken by state and local coalitions, health systems, and policymakers to understand and address the impact of family caregiving on the public's health. Advanced directives generally aren’t given much attention until a medical crisis descends on an individual or family. A University of Washington doctor decided to change things up. Barak Gaster, a primary-care physician at the UW School of Medicine, came up with a five-page summary of options for those who want to get ahead of an Alzheimer’s or other dementia diagnosis. His Health Directive for Dementia, available for download free online, has gained wide attention, particularly after it was featured by The New York Times. Under federal law when a patient dies and pills are left over, the pills belong to the patient’s family. Hospice workers tell the family how to safely destroy them. But according to this article abuse of opioids in hospice care – mostly by family and friends who have access to them – is an often overlooked facet of the national opioid crisis. Conversational and real doesn't have to mean sloppy. Clear thinking leads to clearer writing, and vice versa. A detailed look at an old email from Steve Jobs teaches some important lessons. As part of North Carolina's battle against opioid abuse, new rules for how doctors prescribe painkillers took effect on January 1. An epidemic of overdoses prompted lawmakers in 2017 to pass the Strengthen Opioid Misuse Prevention (STOP) Act, which set new limits on the quantity of the drugs that can be prescribed during a patient's first visit. Doctors can now prescribe only five days' worth of opioids for acute pain, such as after a car crash or a muscle injury or broken bone. After that, they can refill the prescription at their discretion. For pain that follows a surgical procedure, doctors will now be limited to a one-week prescription for opioids. After that, they can prescribe refills as needed, but that first prescription will be restricted. The new limits do not affect prescriptions of opioids for chronic pain patients, including those with long-term back injuries or people in nursing homes or hospice care. Advocates of the STOP Act say this is to reduce the chances that patients will become addicted to the medications and to reduce the number of pills being sent home with people who may not actually need them or take them. Learn more here. The NC Division of Aging and Adult Services has posted information on the reported public expenditures by funding source and major service categories for persons in the state 60 and over for State Fiscal Year 16-17. Data is provided for Divisions within the Department of Health and Human Services and the Department of Transportation. Service categories listed are adult care homes, economic support, physicians and other health care, home health and in-home care, institutional care, and social supportive services. According to the report, expenditures for these agencies totaled $4,266,067,537. In addition, the Division has posted expenditure and service information for each county in the state. North Carolina remained the 9th most populous state in 2017, keeping pace with No. 8 Georgia and putting more distance between it and No. 10 Michigan, according to the latest estimates from the U.S. Census Bureau which were released the end of December. As of July 1, an estimated 10,273,419 people lived in North Carolina, nearly 117,000 more than the previous year. The growth rate of 1.1% made North Carolina the 12th fastest growing state, just behind South Carolina and ahead of Montana. North Carolina added another 116,730 people in the last year -- close to the entire population of Wilmington. North Carolina's growth puts it on track to pick up at least one more congressional seat after the 2020 census, at the expense of states such as Ohio, Rhode Island and Illinois, which have grown little or seen no growth since 2010. The state has 13 seats in the U.S. House and just missed being apportioned a 14th after the 2010 census. To read more about the census bureau report, click here. North Carolina was a slightly less popular place to move to during 2017, but remains in the top 10, according to the recently released annual United Van Lines' report. The state ranked eighth for the second consecutive year, compared with fifth in 2015 and third in 2014 and 2013. There were 5,192 inbound household shipments, down from 5,447 in 2016. The 2017 inbound totals were the fifth highest in the nation. By comparison, there were 4,021 outbound shipments, compared with 3,923 in 2016. Member communities should have received a survey late last week from LeadingAge national with a link to a brief member survey seeking information on your community’s level of activity related to alternative payment models, such as accountable care organizations and bundled payment; initiatives to improve the coordination and integration of the services for older adults or other innovations you may be pursuing. Share the results of the survey and more-detailed case studies on some of the innovative activities with members to inspire additional innovation and highlight promising practices. Be a part of the LeadingAge Leadership Educator Program—an opportunity to join a small group of selected individuals who will learn the art of designing and delivering leadership programs from seasoned educators and Leadership Academy facilitators Dr. Judy Brown and Wendy Green. Applications are due February 5th. Learners will tap into their natural skills and capacities to become expert facilitators skilled in leadership and education design, methodology and implementation. Applicable in any setting where you want to create productive dialogue that inspires leadership growth, these unique facilitation skills can be leveraged in settings ranging from retreats and staff meetings to trainings, stand-ups, and even one-on-one mentoring. Learn more and apply now. Mark Hensley began work January 16 as Associate State Director of AARP North Carolina for the Triad area. Prior to assuming this position, he was Dementia Services Coordinator at the NC Division of Aging and Adult Services. Thank you for using Value First. Our goal is to continue helping LeadingAge members save money in all aspects of their operations. Value First is a full-service GPO (group purchasing organization) owned by LeadingAge national and twenty-five state associations, including LeadingAge North Carolina. In addition to our Construction Services Program and free cost analysis in the food, medical, janitorial, and office supplies categories, we are also available to help you and your staff save money on equipment and services that you might not normally think of in connection with a GPO. Do not hesitate to contact Vanessa Ceasar at 404-421-3956 if you need assistance with anything listed below—or other big-ticket items that are not on the list. With government funding set to expire on Saturday, January 20, Congress needs to pass a stopgap spending measure and forward it to President Trump for his signature to avoid a shutdown. Efforts over the past two days to reach consensus on legislation keeping spending flowing until February 16 were thrown into turmoil yesterday as the President insisted on not including the Children’s Health Insurance Program in the bill. Republicans had hoped that inclusion of the CHIP provision in the bill would entice Democrats to support the stopgap legislation. Further complicating matters were immigration issues, most notably resolution of the Deferred Action for Childhood Arrivals program. As of press time, both the House and Senate were working on compromise legislation to avoid the impact of a government shutdown. The National Center for Nonprofits developed a simple, easy-to-understand guide to the recently passed tax reform legislation. As previously reported, both the medical expense deduction and private activity bonds were preserved in the final version that was signed into law by President Trump. While Phase II went into effect as of November 28, LeadingAge’s advocacy resulted in a delay in the imposition of civil monetary penalties for any deficiencies cited on the new requirements for the first 18 months. LeadingAge has posted tools and conducted webinars on the new requirements to assist members in preparing. Our advocacy last year attracted some congressional interest in the CNA training lock-out issue. Since the automatic loss of training authority is statutory, LeadingAge national is drafting legislative language to make the remedy optional, rather than mandatory and soliciting a sponsor to introduce the measure. Because Congress failed to extend the exceptions process before the end of calendar 2017, Medicare beneficiaries now are subject to the annual per-beneficiary caps on outpatient therapy. This year the caps are $2,010 for physical and speech combined and another $2,010 for occupational therapy. In November, the House Ways and Means Committee announced a bipartisan agreement that included making the therapy caps exceptions process permanent and extending the rural home health add-on for another five years. However, the committee indicated that these and other “extenders” would have to be budget-neutral and must therefore contain offsetting spending cuts. Reimbursement reductions for skilled nursing facilities and home health care providers are on the list. We are concerned about this possibility, since Medicare payments already are reduced by the 2% sequestration. Medicare extenders may be added to the 2018 continuing resolution Congress has to pass by tomorrow. We are supporting H.R. 1421 and S. 568, the Improving Access to Medicare Coverage Act. The legislation would resolve the observation days issue by requiring all time Medicare beneficiaries spend in a hospital count toward the three-day stay requirement for coverage of any subsequent post-acute care. We urge you to contact your federal legislators to cosponsor these bills. Congressional action on this issue may come about as part of an end-of-year Medicare measure, as yet unseen. Last year, both the House and Senate Appropriations Committees approved HUD 2018 spending legislation that would fund Section 202 at $573 million, $70.6 million more than FY17. This amount would fully cover contract renewals and amendments. Also, both Appropriations Committees would have allowed HUD to expand its successful Rental Assistance Demonstration program to include Project Rental Assistance Contracts which we call "RAD for PRAC." RAD for PRAC would bring new housing preservation opportunities to aging PRAC communities and is a key priority for LeadingAge. The fiscal 2018 HUD spending measures approved by the Appropriations Committees last year were not enacted. Once the Administration and the congressional leadership reach agreement on total federal spending levels for this year, funding will be reallocated among federal programs. LeadingAge is urging Congress to include the funding levels previously approved for Section 202 and RAD for PRAC in whatever fiscal 2018 spending bill is passed to cover the remainder of this fiscal year. •	S. 309/H.R. 4006, the Community Based Independence for Seniors Act. The legislation would establish a community-based special needs plan that would give low-income Medicare beneficiaries coverage for home- and community-based services. The House bill sets a tighter limit on the number of beneficiaries who may participate. •	S. 445, the Home Health Planning Improvement Act, introduced by Sens. Susan Collins (R-Maine) and Ben Cardin (D-Maryland). The bill would facilitate Medicare beneficiaries’ access to home health care by allowing physician assistants, nurse practitioners, clinical nurse specialists, and certified nurse midwives to order home health services. These health care professionals are playing increasingly important roles in the delivery of health care, particularly in rural and underserved areas. •	H.R. 3992, the Rural Home Health Extension and Regulatory Relief Act, which would extend the Medicare payment add-on for home health care providers and delay a Medicare payment change that would have serious consequences for home health care providers around the country. The 2018 Congressional Calendar has been released. Click here for a handy one-page guide to when your elected federal officials will be meeting in 2018. CMS, in a Survey and Certification Letter dated Dec. 22, 2017 and posted on Dec. 26, 2017, announced an initiative designed to examine and mitigate facility-initiated discharges that violate federal regulations. CMS noted in the Letter that “discharge/eviction” was the most frequent nursing facility complaint category logged by Long-Term Care Ombudsman programs nationally in FY2015. CMS stated that the reasons for non-compliant discharges can vary, but often are driven by payment concerns and behavioral/mental/emotional expressions or indications of resident distress. Additionally, CMS is considering a variety of interventions to combat the problem, including surveyor and provider training, intake and triage training, CMP-funded projects that may help prevent facility initiated discharges that violate federal regulations, and enforcement. The changes announced in the Letter took effect immediately. Celebrate our field! Who makes your community outstanding? What programs are worthy of attention? Recognize those special folks and programs that make a difference. Go online today to nominate that special person or program for a LeadingAge North Carolina 2018 award. Award nominations are due January 31, 2018. The Center for Domestic Preparedness in Alabama has developed a one day (8 hour) course that is intended to help providers understand the CMS emergency preparedness rule and to assist them to working towards satisfactory completion. The course is free and instructors are provided by CDP. Click here to view the syllabus overview and please note that the upcoming offerings will be offered across the state. S.P.I.C.E. offers this three day program every spring and fall. It is designed to provide participants with current and practical information for the recognition and management of common infection prevention issues in non-acute care facilities, with an emphasis on long term care. Basic statistics for surveillance and antibiotic stewardship are new additions to the course. Mindfulness may sound like a new age concept that is definitely not for you. If so, consider taking a moment to read this author's take on the topic. Mindfulness simply refers to paying attention...and behaving thoughtfully. Ever feel like your meeting just didn't go as planned? Check out this practical guide to making sure a meeting is as focused and productive as you need it to be. Most people prefer fewer medical appointments and interventions toward the end of life. Read this article for a brief explanation of the difference between VA and typical Medicare end-of-life interventions. The information might be helpful for residents who are veterans as well as others who love them. Be sure to read this article if you want guidance on bringing your work from execution of daily details to something more big-picture oriented. You'll be inspired to look to the future, expand your scope of influence, and drive larger scale change. The LeadingAge North Carolina Public Policy Committee will meet January 25 in Raleigh to discuss a number of state and federal issues. Chaired by Jonathan Erickson (United Methodist Retirement Homes), the committee includes Zane Bennett (Plantation Village), Kyle Dilday (Retirement Living Associates), Pam Fox (Twin Lakes Community), Shane Gabis (The Cypress of Raleigh), Jefferson Kaighn (Acts Retirement-Life Communities), Lee Syria (United Church Homes and Services) and Lu-Ann Perryman (Carolina State Strategies). Watch your next Member Update for a report on the meeting. The North Carolina Medical Care Commission has released its 2018 meeting dates. They are February 9, May 9-10, August 9-10, November 1-2. Each meeting will take place in the Brown Building of the Dorothea Dix campus in Raleigh except for the May meeting which will take place at the Duke Health Pavilion in Durham. Click here to view the dates on their website. Therapy caps are back on for now, even though Congress may still be prepared to eliminate them in 2018. An exception to the cap limit allowed Medicare Part B patients — many suffering from stroke or other debilitating conditions — to receive medically necessary treatment above the standard caps set by CMS. But that exception expired Dec. 31, meaning the cap is back in effect for all rehab settings including skilled nursing facilities. This handy CMS Fact Sheet on Medicare Overpayments will help you learn about the definition of an overpayment, the overpayment collection process, overpayment collection tools and payment options, and timeframes for the debt collection process. CMS released new Long Term care survey process training videos. The training videos are broken up into the sections of the survey including but not limited to: Entrance Conference, Initial Pool, Observations, Interviews, Facility Tasks, Investigations and Closed Record Review. In November of 2015, CMS released Survey & Certification Memo 16-06 (SC-Letter-16-04-Focused-Survey-Tools), which included tools that were utilized for the Focused Dementia Care Survey process. These tools were released with the intent that facilities would use them to assess their own practices in providing resident care. Recently, the tools have been updated and current versions have been added to the National Partnership website via the following links (Resident Questions Worksheet 2018; Facility Questions Worksheet 2018). The Focused Dementia Care Survey process is separate from the standard survey process, as are the revised tools. However, the new Dementia Care Critical Element Pathway (Form CMS-20133) was developed using principals from the Focused Dementia Care Survey process. Click here to submit a proposal to present. RFPs due by January 12, 2018. Please click here to view and print LeadingAge North Carolina's 2018 Event and Education Calendar for yourself and your staff. We hope you'll mark your calendar for several programs. Be sure to look out for registration announcements by email, social media, and our website. We look forward to seeing you soon! Please take the time to nominate the outstanding people and programs in our field for a LeadingAge North Carolina 2018 award. Recognize those special folks that make a difference and programs that are innovative. Award nominations are due January 31, 2018. Trade Show Registration Opens This Monday, January 8! Business members please note that registration for the 2018 Trade Show will open this Monday, January 8. Watch your inbox for more information. Announcements will also be made on our website and social media pages. Click here to access the webinar: Avoiding Opioid Dangers in Seniors offered by Omnicare. In this one-hour webinar, Anne Wallestad, CEO of BoardSource, and Vernetta Walker, BoardSource’s Chief Governance Officer and Vice President of Programs delve into the findings from Leading with Intent and share tips for creating a constructive partnership with the executive and helping develop a strong board culture. This brief article would be a good resource for family members with questions about when to engage hospice for a loved one. A 16-year study cited in the article showed that pain, nausea, depression and shortness of breath decreased substantially only after hospice began. The Founder and CTO of WordStream offers practical advice for making your workday yours, feeling more in control and more productive. Check it out today! Did you know 1,000 North Carolinians die every year due to prescription medication overdose? 67% of people who abuse prescription medications get them from family and friends. Find out who your county "Lock Your Meds" campaign director is by clicking here. You may request educational materials to post in your community and in your HR office by clicking here. Please contact the LeadingAge North Carolina office at 919-571-8333 for assistance obtaining materials. Learn more about what you can do to address the epidemic below. Submit Your RFP for 2018 Spring Conference by January 12! LeadingAge North Carolina invites you to share your expertise in the field of aging services. Submit a proposal to be a presenter at our largest event of the year. The Spring Conference and Trade Show will take place May 14-17, 2018 at The Omni Grove Park Inn in Asheville, NC. We seek proposals that demonstrate best practices, exemplify creativity, and inspire innovation in the field of aging. Submissions may be made online by January 12, 2018. This excellent publication from the State Epidemiologist emphasizes highlights of the long term care guidance for flu and norovirus outbreaks. A JAMA study found that 63 percent of the U.S. increase in health care spending from 1996 to 2013 was attributable to providers doing more for patients in each visit and charging more for those procedures. Disentangling those two things is tricky, but the point is that the disproportionate increases in health care costs in America aren’t because we’re inherently sicker or because we spend longer in the hospital or because there’s more of us or because we’re older. It’s mostly because of pricing and the amount of care. Can You Quantify the Benefits of Living in Your Life Plan Community? Mather LifeWays and Northwestern University are conducting a landmark study that will determine the impact of living in a Life Plan Community on residents’ long-term health and wellness. The Age Well Study will measure residents’ self-reported health and wellness metrics through a convenient survey taken annually for five years. In return for participating, your organization will receive an annual report on key findings, such as quality of life, self-reported health, and other health-related measures. This study is being conducted in partnership with ASHA, LeadingAge, Ziegler, National Investment Center, Life Care Services, and Novare. To learn more or to enroll your community in the study, visit the Age Well Study web page or email agewellstudy@matherlifeways.com. Congratulations to Jesse Goodman, Section Chief of the Health Care Personnel Education and Credentialing Section of DHHS, who announced his retirement effective February 1, 2018. Best wishes, Jesse! Thank You LeadingAge North Carolina! Adjusting to the new Vizient/Provista arrangement, updating Value First participation agreements, and maintaining the high level of support we strive to provide made 2017 a productive though challenging year. Through it all LeadingAge North Carolina members were gracious and cooperative while continuing to capitalize on the savings available through Value First GPO. We are grateful for your trust and loyalty. Thank you! Value First's goal is to continue serving you in the best way possible in 2018 and beyond. Whether you are planning major renovations, are in the market for a new passenger van, trying to drive down day-to-day operating costs, or just need someone to work with staff on identifying vendors to compete for your business, we can help. Contact your representative Vanessa Ceasar at 404-421-3956. Owned by LeadingAge national and twenty-five state associations including LeadingAge North Carolina, Value First is your GPO. Cost Studies: A cost study is a comparison of what your community is spending versus pricing available through Value First. You can have cost studies done in one or more of the following categories: food, medical supplies, janitorial and housekeeping supplies and office supplies. Even if you are currently purchasing through a different GPO, Value First can do a free, no obligation cost study for you. Our primary goal is to work with LeadingAge members to make sure they are getting the best pricing—with Value First or through other sources. Renovations and Project Support: When it is time to replace flooring, buy new furniture, convert to LED Lighting, buy new appliances for unit-turns or some other project, Value First can identify companies to compete for your business and assist with the quote review process. Construction Services Program: You control the project. We help reduce the cost of material and equipment. Many of the architects and designers you do business with are market leaders who are part of the Value First Construction Services Program. Connect Value First with your architects, project managers and key staff as early in the process as possible. Higher savings result from early engagement. ▪Assistance with planning and procurement of materials, furniture, fixtures, and equipment. ▪Aggregate of purchases across multiple projects to ensure cost containment. ▪3% to 12% project savings.